​A section of Spurs fans should be pretty excited after one of the club's supposed targets implied he could be on the move at the end of the season. 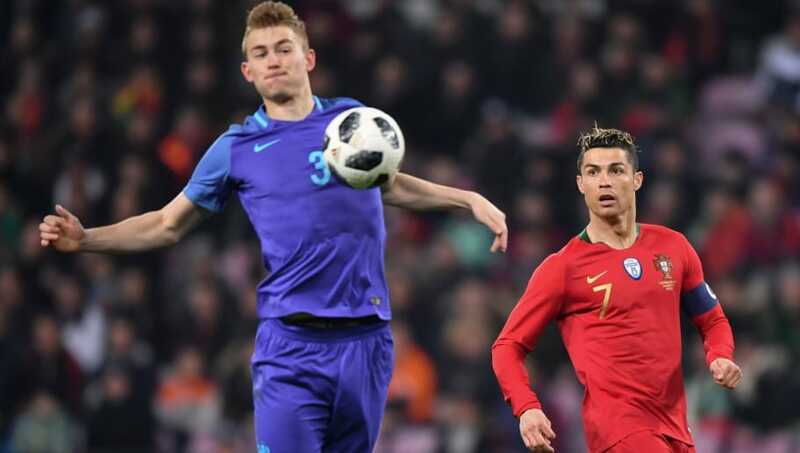 18-year-old Ajax defender Matthijs De Ligt has been on several clubs' radars, especially after putting in a splendid performance for the Netherlands in a friendly against Portugal during the last international break. According to ​football.london, the player, who earns £15,000-a-week at his current club and is a target for the Wembley side, could be available for £50m in the summer. De Ligt recently claimed that he would not let money influence his decision if he were to leave Ajax. And given ​Tottenham's rigid wage policy, their fans reckon he would be willing to join the side as he would probably accept wages just marginally higher than what he earns at the moment. "I am going to make a decision with my head, not based on money offers," he's declared. "I think some players would be tempted when they get massive offers. But compared to ordinary people I think I earn a huge wage right now, anyway." As such, here are some of the reactions from fans on Twitter. All well and good until Levy offers him 12k a week. Watched Ajax few times recently, this guy could become Poch's replacement for Toby? It's about time we stopped this sell our best and sign a newbie to groom into a star cycle. It doesn't always work out well. Even Sanchez at times has shown he's still a rookie so pleeeasse let's sort out Toby's contract already. I would imagine we are out of the running, if a footballing team steps up and pays the money we are out of the ball game. ​​So will the teenager make a switch this summer? It's definitely possible, based on what he's said. However, Spurs could have a serious fight on their hands if they do move to get him.